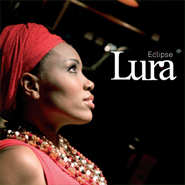 LURA is back with Eclipse, her finest album to date. Recorded in Brussels, Lisbon, Paris, Praia and Naples, Eclipse, the artist’s fourth CD confirms the talent and natural elegance of a singer who has made a remarkable splash in the U.S. in just a few short years. The title song of Eclipse sets the tone for the album: delicately wrought, acoustic and full of grace. The track is a perfect illustration of sodade — a vague feeling of melancholy and sadness, a nostalgic relationship with land, sea and family sung by poets, sailors and their loved ones for generations. 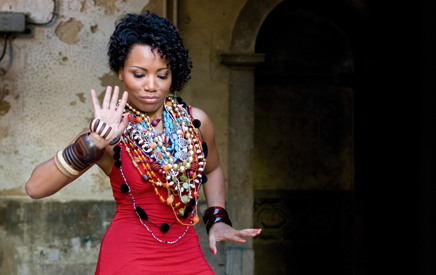 A Portuguese-speaking artist, Lura stands at the crossroads of Portuguese and Cape Verdean culture. Growing up in the Creole quarter of Lisbon, Lura was surrounded by beats from the leeward and windward islands, as well as Portugal’s pop, jazz, African music and American soul. Yet she also felt intensely drawn to the African archipelago that her parents had been forced to leave, and determined to reclaim for herself. Today, all these influences are to be found on Eclipse. The album expresses love, joy and sometimes sadness. Its thirteen new tracks display incredible energy as well as Lura’s burgeoning songwriting skills.